On the evening of Tuesday 28th June 2016 twenty members of the East Cleveland Walsingham Cell gathered at Saint Helen’s Parish Church in Carlin How for a special Mass in honour of Saint Peter the Apostle. The Vigil Mass was offered in celebration of the life and witness of Saint Peter the Patron Saint of the Diocese and Province of York. During the Mass special prayers were said for the life of the Church in the Diocese and of Province of York, and especially for the Archbishop, Bishops, Clergy and the faithful of our Diocese. The Mass was celebrated by Father Adam Gaunt Rector of Loftus, Carlin How and Skinningrove and was assisted by the Rector of Brotton and the Rector of Skelton-in-Cleveland. 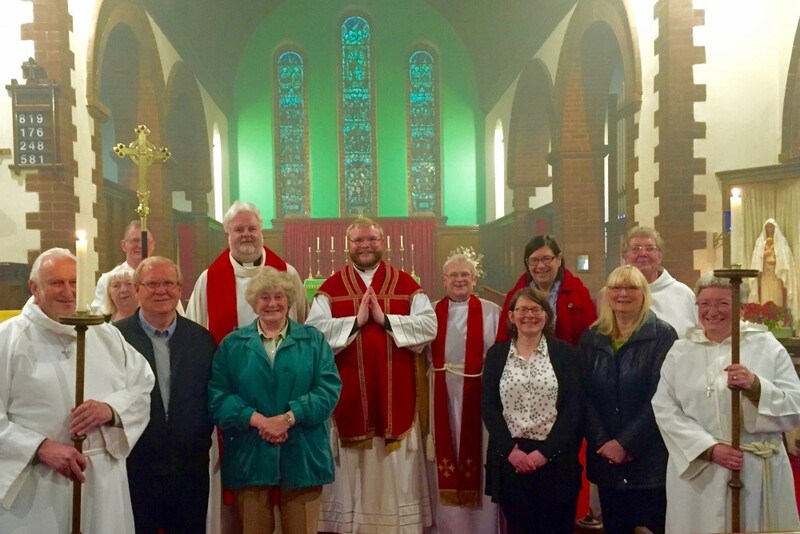 A team of serves from across East Cleveland also assisted at the liturgy.